Born and raised in Calgary, Kathie has been teaching music in the Calgary area for more than two decades. She received her B. Mus (with Distinction) in Secondary School Music and a Diploma in Fine Arts (Wind Ensemble Conducting) from the University of Calgary While on sabbatical Kathie also studied jazz music at St. Francis Xavier University (Nova Scotia). In addition to teaching music at Centennial High School in Calgary, Kathie has been the director of the Foothills Music Society Community Band for several years. Active as a guest conductor, adjudicator and trumpet clinician, Kathie has also served on faculty with Musicamrose and the Calgary Regional Summer Band Workshop and is a member of the International Band Masters Fraternity Phi Beta Mu. In 2012, Kathie received the Alberta Band Association Elkhorn Award as the Band Director of the Year and in 2017 she received the Vondis Miller Legacy Award. As a trumpet player Kathie is active as a free-lance musician and has performed with many groups including among others, the Calgary Philharmonic Orchestra, Lethbridge Symphony Orchestra, Red Deer Symphony, Calgary Bach Society, Bow Valley Chorus, Prime Time Big Band, Southern Stardust Big Band, Alberta Winds and Altius Brass. Martin Kennedy is the Director of Bands at Holy Trinity Academy in Okotoks, Alberta. Originally from Eugene, Oregon (home of the Fighting Ducks! ), he attended the University of Oregon where he earned his Bachelor of Music Education in 1981, and then returned to the University of Oregon to earn his Master of Clarinet Performance in 1986. Mr. Kennedy began his teaching career in Ft. McMurray, Alberta, where he taught for 13 years, building the band program at Ft. McMurray Composite High School, as well as the Northwinds Marching Band. During this period, he also performed frequently with Keyano College productions, where he performed with orchestras for Rich Little, George Fox and others. In 1995, Mr. Kennedy moved to Okotoks to build the band program at Holy Trinity Academy. During his tenure, the program has grown four fold, and the bands at HTA regularly receive ‘Excellent’ and ‘Superior’ ratings in festivals all across North America. His work at HTA led to his receiving the ‘Tommy Banks Award’ in 2007 for Jazz Education, and the Alberta Band Association ‘Elkhorn Award’ for Band Director of the Year in 2011. In 2012, he was honoured to receive the ‘David Peterkin Award’ for service towards Band Music from his peers in the Phi Beta Mu. In 2014, he was the recipient of the ‘George Lotzenheiser Award’ for Outstanding Band Conducting from the Calgary Kiwanis Festival. Mr. Kennedy was chosen to direct the Northern Alberta Honour Band in 2013. He continues to perform his clarinet in and around Okotoks and the Calgary region. We are a group of dedicated adult musicians who love to learn and perform. We are passionate about instrumental music. FMS has two performing ensembles: a concert band and a jazz band. Both bands are open to musicians 18 years and older. Our members live in and around the Foothills region including Okotoks, High River, Nanton, Millarville, De Winton and Calgary. Our passion is making music in a fun and relaxed atmosphere with other members of our local community. 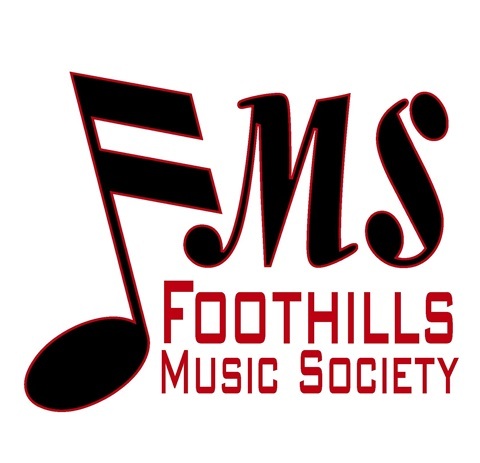 FMS was founded in 1993 to provide an opportunity for adults in the Foothills area to play music with focuses on education and recreation. 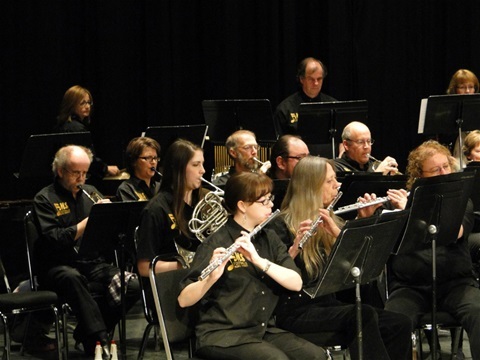 The concert band was originally two bands (one beginner, one advanced) which were combined. The concert band now plays a wide variety of classical and contemporary music. The jazz band was formed in 2000 and performs a wide variety of repertoire focusing on big band standards, latin, and contemporary pieces. Funding comes from a mixture of modest membership fees and an AGLC licensed charitable casino held once every 3 years or so. The next casino will be sometime in the first 3 months of 2020. Foothills Music Society is a registered non-profit society with an all-volunteer board elected annually by the membership. 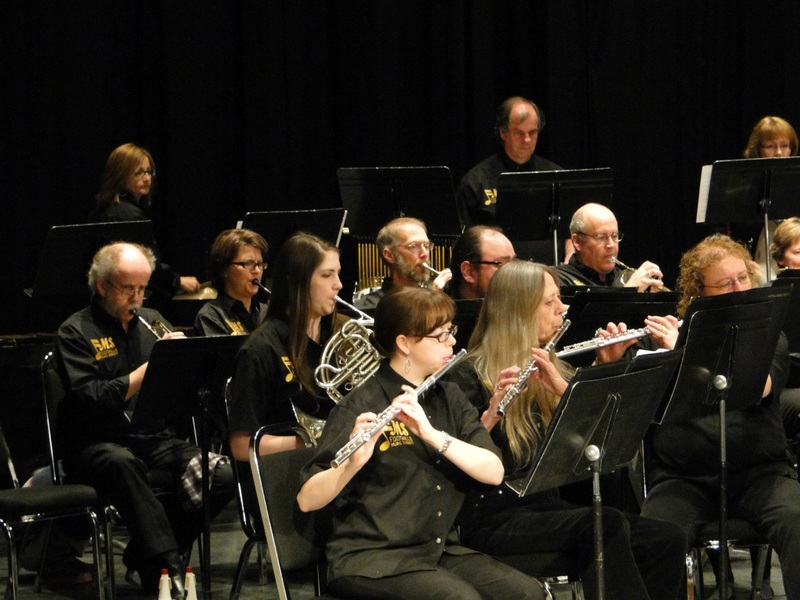 The Annual General Meeting is normally held during a Concert Band rehearsal in the fall session each year.